Certain landlord actions are illegal. This includes any attempt by a landlord to harass their tenants. Learn if your landlord could be guilty of harassment. Landlord harassment is the attempt by a landlord to pressure or intimidate a tenant using aggressive methods. These actions are intended to disrupt the quiet, peaceful enjoyment of the rental unit by the tenant, force the tenant to move from the unit or force the tenant to refrain from pursuing a legal right they have. The action usually must be ongoing and not just an isolated incident. This harassment could be against a tenant who lives in the rental unit or against a guest of a tenant. There are many reasons a landlord might harass a tenant, and none of them are legal. In general, harassment is done to get a tenant to do something the landlord wants. This could include moving out of the unit, following certain rules, paying their rent or complaining less. A landlord could also harass a tenant out of anger for a prior action the tenant committed, such as complaining to a government agency about a maintenance issue at the property. To Get Rent Controlled Tenant to Move: It is common for landlords to want to get rid of tenants who live in rent controlled apartments. These tenants are usually paying far below the market rent. Since the landlord still has to pay today's rates for electricity, heat, taxes, insurance and monthly mortgage, they want tenants in their units who are paying the current market rate for rent. Don’t Agree With Member of a Certain Class: Another reason a landlord may want a tenant to move is the tenant is a member of a class of people the landlord does not like. This could be based on their religion, nationality, gender, disability or even the fact that they have children. Tenant Complaints: A landlord may wish to get a tenant that he or she sees as ‘annoying’ out of the property. The tenant could constantly be calling the landlord with a new complaint and the landlord has had enough. There are many ways a landlord could harass a tenant. The goal is to make the tenant uncomfortable living at the rental property. All forms of harassment are illegal. Entering Unit Without Warning: Most state landlord tenant laws require a landlord to give a tenant proper notice before the landlord can enter the tenant’s apartment. Emergencies are an exception to this rule. Landlords who enter a tenant’s property without warning or prior approval could be accused of harassment. Shutting Off Utilities: Most rental properties have an implied warranty of habitability. This means that tenants have the right to live in a safe home that includes certain basic necessities in order to survive, such as running water, sewer and heat in the winter. Cutting Off Amenities That Were Included in Lease Agreement: A landlord may try to make conditions at the rental property uncomfortable to get the tenant to move. This could include taking away a tenant’s parking spot or cutting off their access to laundry services. Refusing to Make Repairs/Perform Maintenance: A landlord could attempt to force a tenant out by making the conditions at the property uncomfortable by refusing to make repairs to the unit or perform requested or necessary maintenance. Changing the Locks: A landlord may change the locks on common area doors or on the actual entry doors to the tenant’s unit or even barricade these doors in order to get the tenant to move out of the property. Removing Possessions From Unit: Another bold intimidation tactic by landlords is to physically move a tenant’s possessions out of the rental property. Raising Rent: Most states will require a landlord to give a tenant at least 30 days’ notice before the landlord is allowed to increase the tenant’s rent. If a landlord attempts to demand more money from the tenant without the proper notice, the landlord could be accused of harassing the tenant. Improper Notice: The landlord-tenant laws in each state will include the required notice landlords must give for certain events, such as entry, nonpayment of rent or evictions. A landlord may try not to give any notice at all or give the tenant less notice than legally required. For example, a landlord may have to give a tenant 24 hours’ notice before showing their unit to prospective tenants. If the landlord simply shows up, it could be considered harassment. Buyout: A buyout is when a landlord tries to get the tenant to accept a sum of money to move out of the unit by a certain date. The landlord may want to convert the unit to a condo, avoid dealing with the eviction process or force a rent stabilized tenant out of the property. Repeated attempts to buy out the tenant after the tenant has refused may be considered harassment. 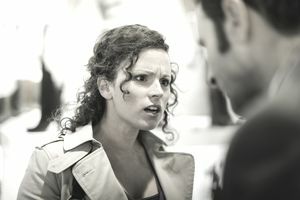 Verbally Threatening the Tenant: A landlord may use their words to intimidate the tenant. These threats could be made over the phone, in person or in writing, such as in text messages, emails or written letters. Physically Threatening the Tenant: A landlord could try to pressure a tenant using physical harassment. This could include using their body to block a tenant’s exit from a room, getting in a tenant’s face or even laying their actual hands on the tenant. Refusing to Accept a Rent Payment: A landlord may attempt to intimidate a tenant into moving or threaten the tenant to take back a complaint by refusing to accept the tenant’s rent payment. Filing False Charges Against the Tenant: Another form of harassment involves a landlord filing false charges against a tenant, such as falsely stating the tenant violated a no-pets policy, in an attempt to evict the tenant. Filing a Fake Eviction Against the Tenant: A landlord could try to get the tenant to move by sending a fake eviction notice to the tenant. For example, the notice may state that the tenant is being evicted and only has three days to move out of the unit. Construction Related Nuisances: If a landlord begins construction with the sole purpose of disturbing the tenant, this could be considered harassment. It could include working during early morning or late at night, leaving construction debris everywhere or physically blocking the entrance to the tenant’s apartment. Sexual Harassment: A landlord could harass a tenant by making crude remarks to the tenant or other obscene sexual advances. Entering Unit Without Warning in an Emergency: A landlord does not have to provide notice to a tenant to enter the tenant’s unit in an emergency. For example, if there is a fire in the building, the landlord can open the tenant’s door to try to make sure no one is left in the property. Filing to Evict the Tenant for Nonpayment of Rent: A landlord is legally allowed to file for an eviction against a tenant if the tenant has not paid their monthly rent. A landlord will often have to send the tenant a Notice to Pay Rent or Quit before being able to file for the eviction. Raising the Rent With Proper Notice: A landlord can increase a tenant’s rent by a certain percentage as long as the landlord gives the tenant proper notice. In most states, this is 30 days before the rent increase will take effect. Sending Tenant Notice to Quit for Violating Lease Terms: If a tenant is violating the terms of their lease, the landlord has the legal right to send the tenant a notice to quit the behavior. If the tenant does not stop the behavior after this notice, the landlord may have the right to file for an eviction. Sometimes the landlord is required to send the tenant multiple notices before an eviction can be filed. Tenant Did Not Pay Utility Bill: If a tenant does not have heat or electricity because he or she did not pay their utility bill, it is not landlord harassment. As long as the boiler works and the electricity has the ability to turn on, it is up to the tenant to get current on their bills so their utility services are turned back on. Sending Tenant a Buyout Request: Landlords are allowed to offer the tenant a buyout to move out of the unit as long as they follow legal measures to do so. Check your local laws. Some states require the request to be made in writing, notifying the tenant of their rights, including their right to refuse the buyout attempt. A landlord is usually only allowed to make a buyout attempt once within a certain number of days. Repeated buyout attempts could be considered harassment. Changing Locks for Victims of Domestic Violence: While a landlord cannot randomly change the locks on a tenant’s unit, the landlord can change the locks at the request of a tenant who has been the victim of domestic violence. If a tenant feels they have been a victim of landlord harassment, there are several things the tenant can do. Document the Incident: If a tenant believes he or she is being harassed by their landlord, he or she should document any alleged incidents that occur including the date, time and nature of the harassment. The tenant should keep any evidence of the harassment, including a voicemail, text message, email, letter, photo or video that captures the incident. File Complaint: In many cities, a tenant can file a complaint with their local government. The agency will investigate the claim to see if harassment has occurred. File a Restraining Order: With the proper evidence, a tenant can file to get a restraining order against the landlord. This usually occurs if the tenant wishes to move out of the rental property, since landlords and tenants will typically have to interact in the course of business. Get an Injunctive Order from the Court to Stop the Behavior: A tenant can go to court to get a legal order from the court for the landlord to stop the harassing behavior. Sue the Landlord: A tenant could also sue the landlord for damages due to the harassment. Because landlord harassment has become such a big problem, many states have their own laws to help protect their tenants. A landlord could be fined between $1,000 and 10,000 for each harassment offense they are convicted of. In addition, they are unable to increase the rent on a tenant who they have been convicted of harassing until the Division of Housing and Community Renewal lifts this ban. If a landlord in New York is convicted of a felony for physically injuring a tenant, he or she could face jail time as well as a fine. Massachusetts has a Consumer Protection law which is designed to protect against unfair or deceptive practices, including harassment. The tenant can send a Consumer Demand Letter to the landlord within 30 days of the harassment and has the ability to sue the landlord in small claims court if seeking damages under $7,000. Tenants in San Francisco are protected by Prop M. This proposition defines the actions that are considered landlord harassment in the city and possible remedies for the harassment, including a potential decrease in rent as well as the tenant being awarded up to $1,000 for each offense.